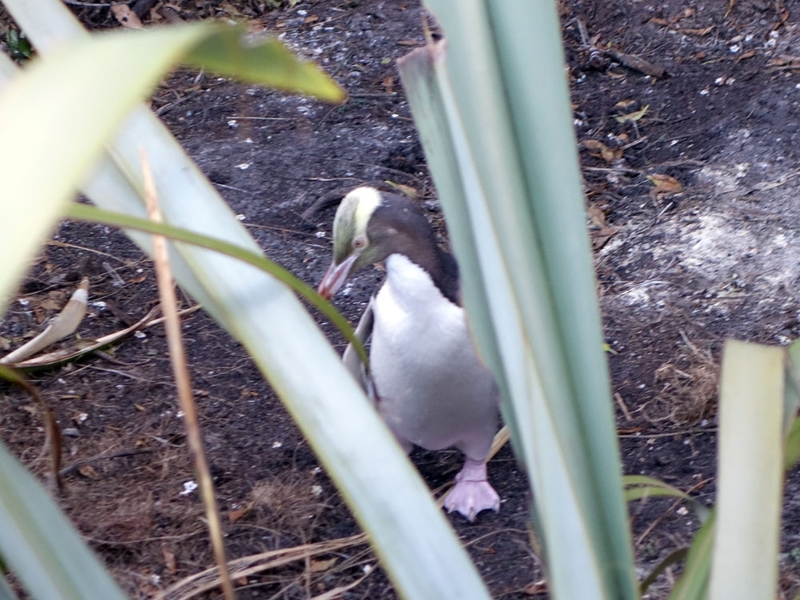 Where we finally spotted wild penguins in New Zealand! Ever since we knew that we were definitely going to be visiting New Zealand on our world travels, I became obsessed with the fact that we could potentially see penguins in the wild...actual penguins!! I did my research to see how we could best incorporate penguin hunting into our route. 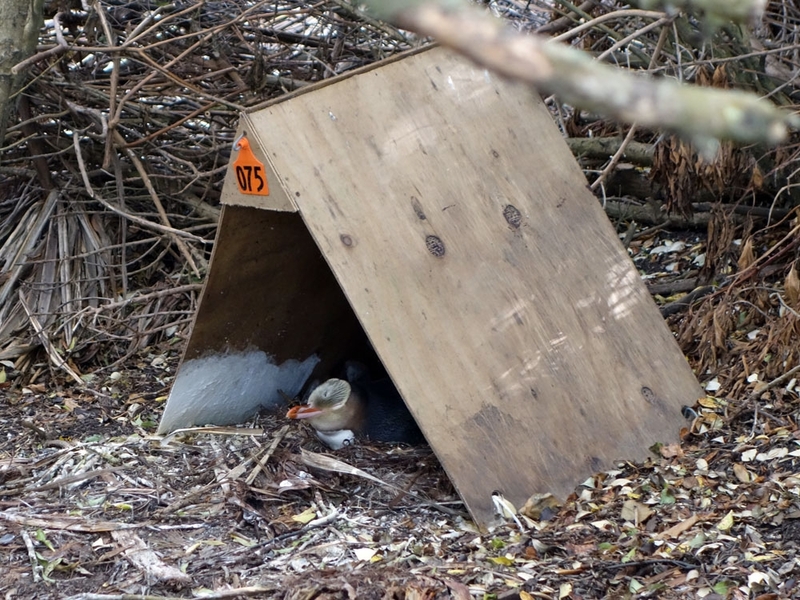 There was the potential of seeing Fiordland penguins on our cruise on Milford sound but that wasn't quite enough for me when I knew there were a whole lot more on the east and south coast just waiting to be found. The two types are the very common and smaller blue-eyed penguins or the rarer yellow-eyed penguins. 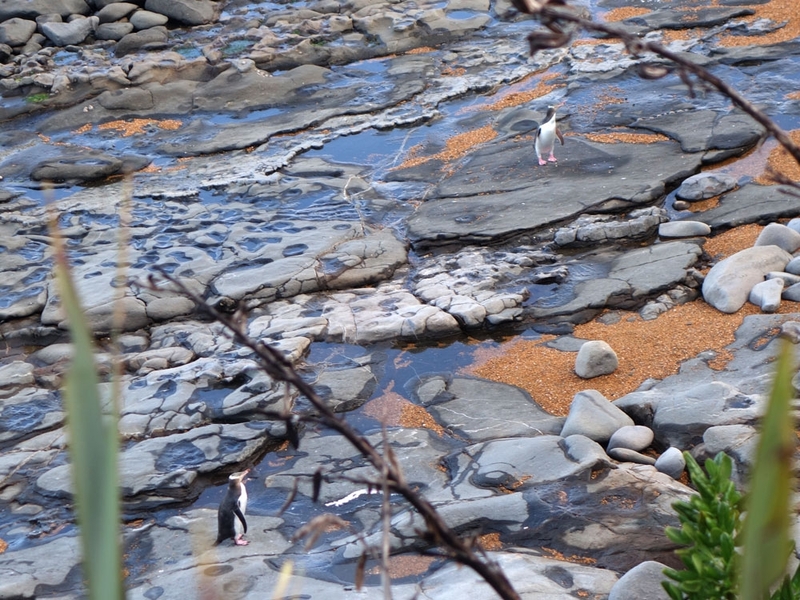 There are numerous places along that coastline where you can pay to sit on stands quite far from the penguins and watch them come ashore in the evening. There are other places where you can walk to hides which have been set up to allow tourists to stay a safe distance from the penguins (to not disrupt them) and watch from the windows of the hide as they come ashore. Our initial plan was to try one of the free hides and if we were unsuccessful to perhaps pay for one of the viewing areas. 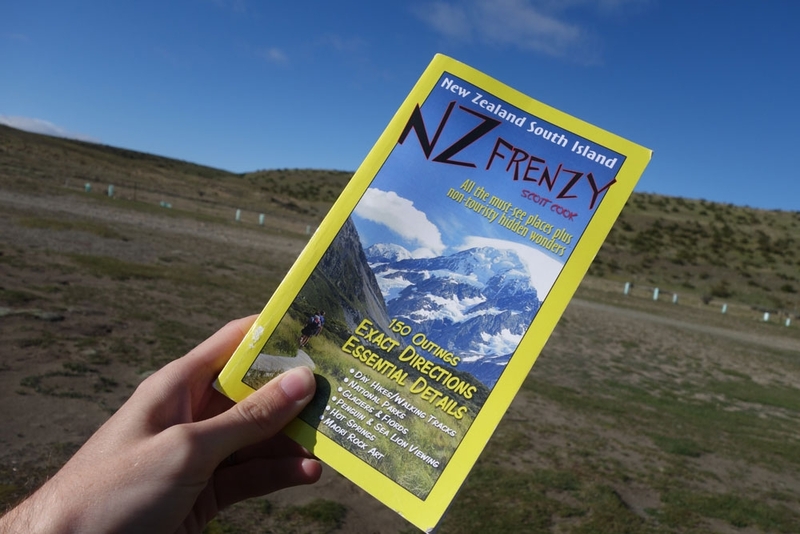 There is one place however that we learnt of in Scott Cook's NZ Frenzy where you can watch the beach from a hide BUT where you can also walk around the coastline and potentially see penguins just on the other side of fences!! This wonderful place is near the Moreaki boulders on the east coast. 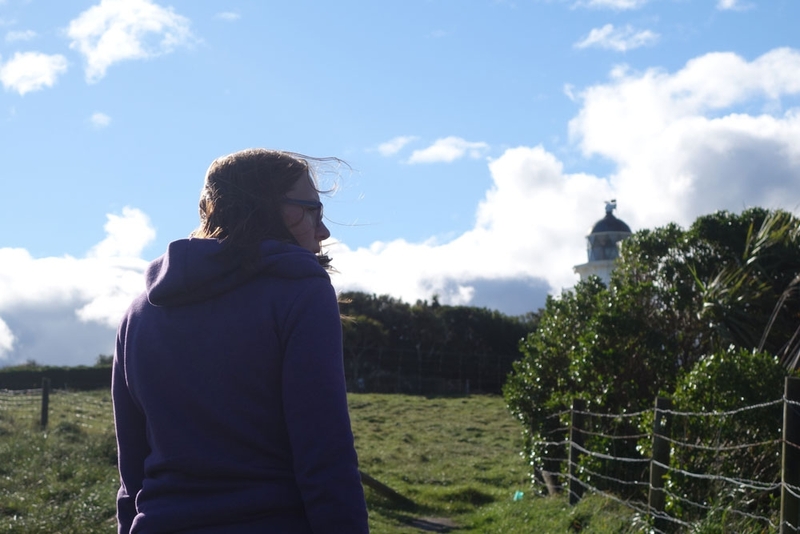 There is a lighthouse on the headland there were many years ago, a couple looked after and released several, injured yellow-eyed penguins. To their surprise over the years, a colony of yellow-eyed penguins developed who now use the headland as their home. The area is fenced off to prevent humans disturbing the area and the reserve depends on visitors being responsible and considerate of the animals. You can walk two ways; one is steeply downhill towards a hide where you can view the beach (the best time to see them is early morning or late afternoon/evening). You can also walk across the fields beside the coast. 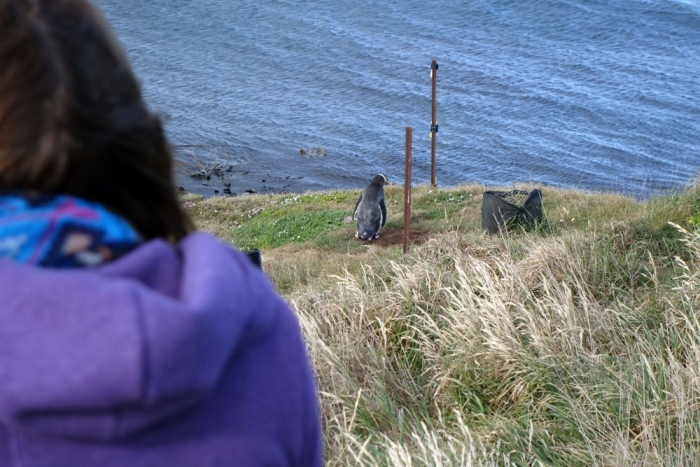 On both routes there are little penguins huts just beyond the fence where you have the opportunity of potentially catching sight of a penguin. Otherwise you may see them just wandering along beside the fence, only metres away. There are also a multitude of seals across the beaches as well and you can get pretty close to them (if you're quiet and careful) if you do the walk over the fields. Our experience When we arrived at around 4pm we initially walked down to the hide and sat for about 10 minutes but had no luck. We decided to try the other walk and then come back to the hide a little later on. As we walked back up to find the other path we caught sight of our first penguin! Just behind the fence to our left there was a penguin sitting inside one of the huts with its beak sticking out! This spurred me on, determined to see a whole penguin and not just the beak we kept walking. 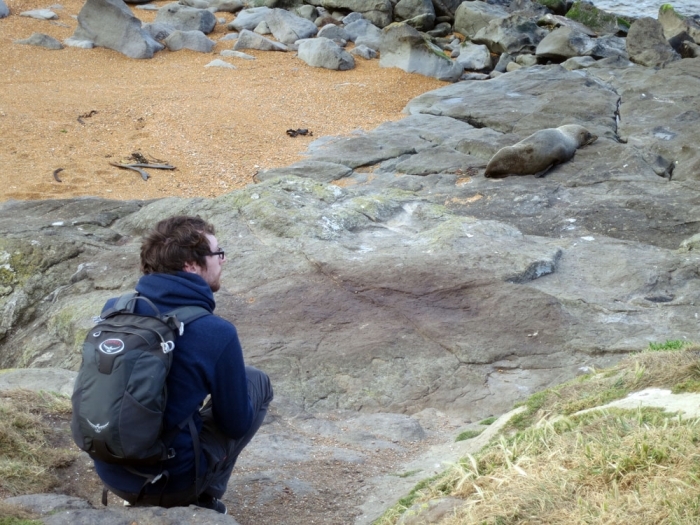 We walked across the whole headland and made some seal friends but still no more penguins....I was beginning to get disheartened when on the walk back to the hide, something black caught my eye. To the right of us just beyond the fence was a penguin just chilling and wandering around. I nearly wet myself with excitement!! We sat and watched it for aggges and it wasn't bothered by our presence, just kept doing its own thing. We went back to the hide when this penguin had wandered off down the cliff to see if we could catch a glimpse of any coming ashore. We were sat in the hide for about 5 mins when Alistair suddenly noticed a tiny penguin right under the window! 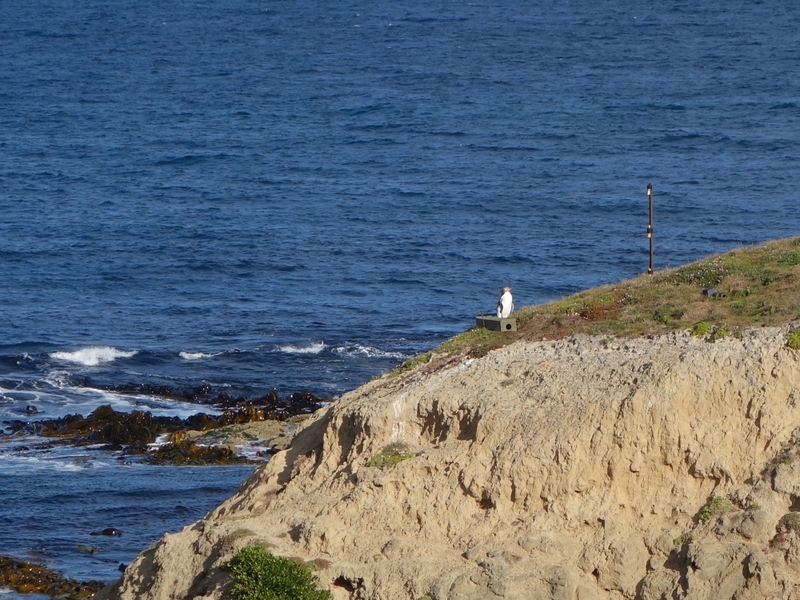 There was a path there and the penguin was walking around, picking up branches and coming and going from its nest. We alternated watching him as well as catching glimpses of penguins hopping and jumping up the beach, it was absolutely amazing!! 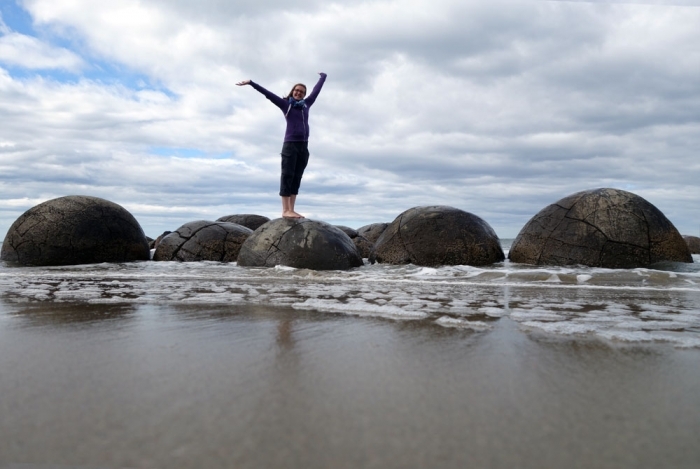 On a side note, whilst in the area we also visited the Moreaki Boulders (part of the common tourist route on the South Island). Whist on the beach however we were able to see dolphins frolicking and surfing the waves just off the beach! 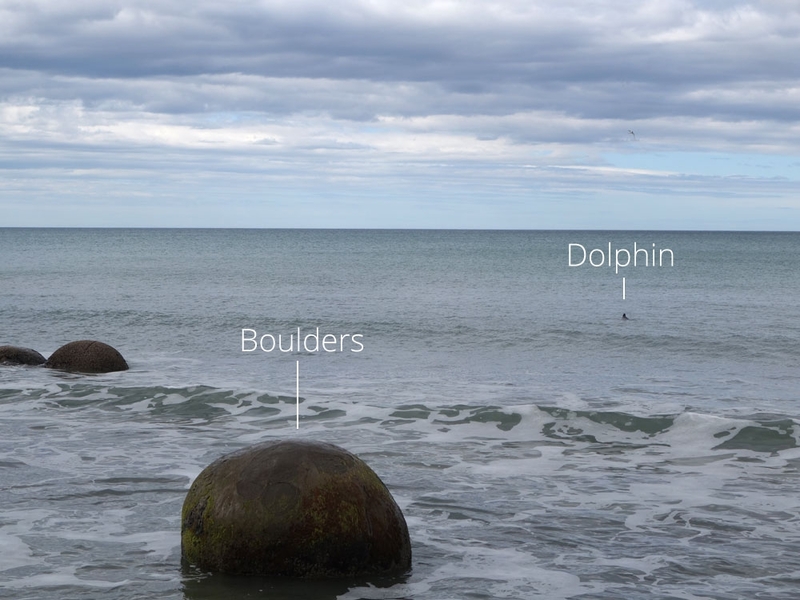 So if you do visit the boulders, be sure to keep one eye on the sea as you may just be able to catch a glimpse of some wild dolphins as well.